That the Nollywood actor, Ibrahim Chatta is a famous actor cannot be contested. He has been making relevance in the Yoruba genre of the movie industry for a decade or more now . If you recall that we served you a story of how he hooked a Senator's daughter, Salamat Mohammed in a traditional/Islamic wedding last December 30th, 2012, as you are reading this, the wedding is said to be creating hullaballoo in his household. How? Well, a source hinted us that not many people know that the popular actor was or (is it is self?) married to a lady in Ilorin also and they both have a son named, Malik. 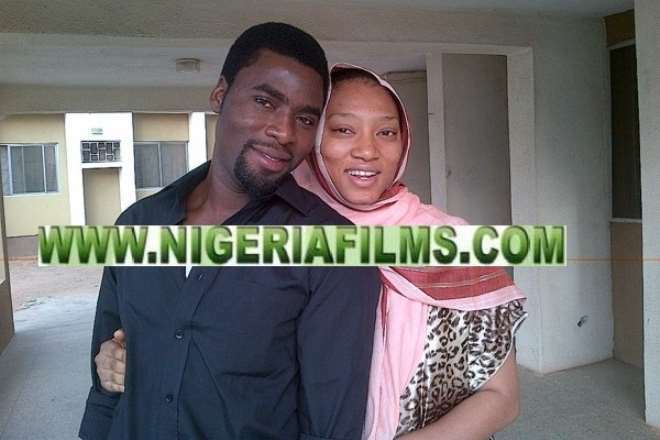 A reliable source told www.nollywoodgists.com that the son actually has been abandoned with his mother by Ibraham Chatta for months. Though, Islamically, he's said to have the right to marry as many wives as possible as long as he has the wherewithal to take care of them all, Ibrahim has, however, left his responsibility to marry another wife who is a daughter of Alhaji Mohammed Shaaba Lafiagi, the Senator representing Kwara North Senatorial District. Sources said the wife has been crying her heart out that her husband abandoned them because of his greed for a Senator's daughter. All effort to reach Ibrahim on this story was aborted but as soon as we hear his own side of the story, we shall bring it to your notice as soon as possible. Wives Beware! Actress, Amaka Anioji Hunts For Your Hubbies!